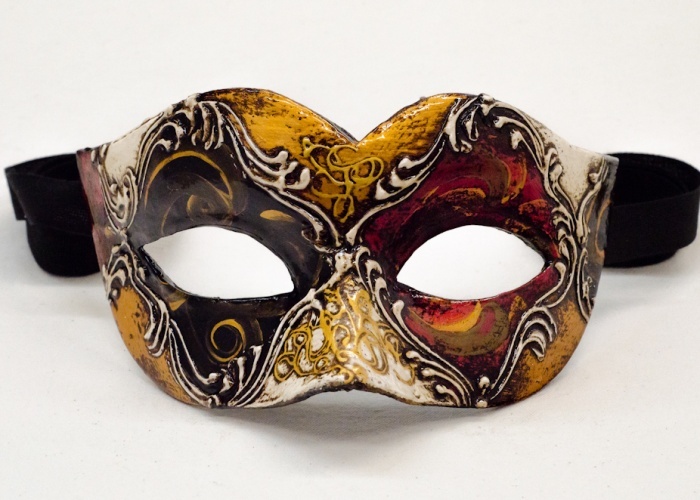 A fine example of Venetian mask for both men and women, this colombina mask is very elegant thanks to the play of alternating light and dark colors. Exquisitely decorated using acrylic colors and stucco. Handmade in our workshop in Venice, Italy.